Maybelline Color Sensational The Loaded Bolds Lipstick ($7.49 or Buy 1, Get 1 50% at Ulta) is a new richly pigmented permanent Maybelline Color Sensational Lipstick Collection that launched for Summer 2016 in 20 shades. The Loaded Bolds Lipstick range is made of some interesting shades for a drugstore lipstick collection with unconventional colors such as blue, black, and even white that budget brands like Maybelline hasn’t released in the past. I think this launch is very interesting for Maybelline. The brand seems to be currently embracing a lot of new, pigmented options in the makeup world and completely changing what we know from them. Much of what they are doing is also right on trend with mid and high end brands which is cause for a little bit of surprise since drugstores tend to catch up with trends a little after bigger brands. In some cases, Maybelline is even paving the way for these trends with higher end brands following after them. It’s a very interesting evolution for drugstore makeup. A majority of these shades are a surprising release for Summer 2016 as many seem like ideal Fall shades. There are a good deal of bold, rich wines and reds as well as more fashion forward shades that are popular at the moment like creamy mauve-y pinks. And of course, alternative shades like blue, purple, black, and white as mentioned above. For me, this felt more like Fall 2016 Lipstick Collection! The Loaded Bolds come housed in a blue-ish purple translucent square barrel that holds 0.15 oz of lipstick. As I mentioned above these will be a permanent part of the Color Sensational Lipstick Collection. These apparently have a creamy clay base and provide pigmented one-stroke application. I was excited to try these as I do have a little bit of a love/hate relationship with Color Sensational Lipsticks. One thing you have to love about this line is the fact they are available in such a vast array of finishes, formulas, and colors. The addition of the Loaded Bolds adds quite a few alternative shades that drugstore makeup isn’t typically known for. For me, this formula is like a thinner version of the Maybelline The Creamy Mattes. 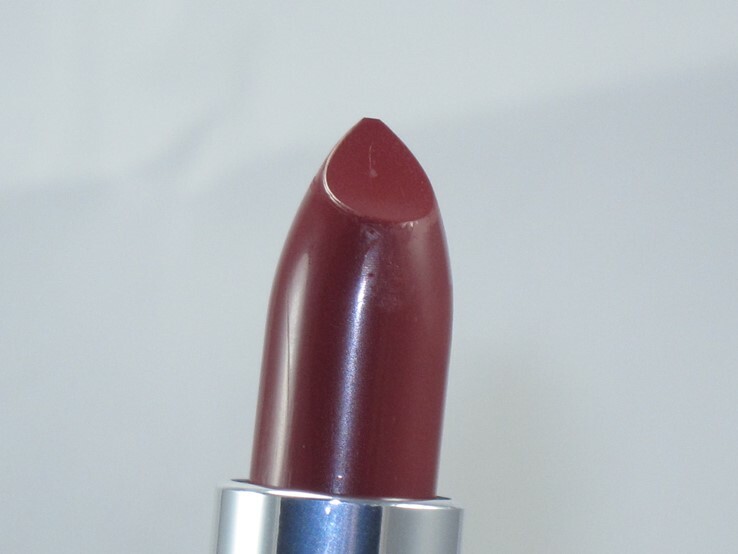 I find the color is smooth, creamy, weightless, and applies easily without dragging on my drier lips. All four of the shades I tried had a certain slick feel with a hint of a shine finish. They did have a light perfume fragrance and flavor which was a switch up from the typical play-doh flavor of most of the Color Sensational line. In most cases, I barely smelled or tasted anything during application. I can’t stress enough how much I love this formula. I purchased these at Harmons so, I believe they set me back $5.49 each. Honestly, at this price, you can’t beat the pigmentation, formula, and ease of application. These are by far some of the most pigmented drugstore lipsticks you’ll get your hands on with a very pleasant, easy to apply formula. Unfortunately, in some cases the colors are almost too pigmented so, I had problems with some of the darker shades slipping into my natural lip lines making the color look a bit patchy and uneven. 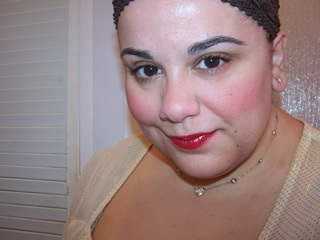 I also experienced issues with color feathering and traveling around my lip line. There’s definitely a bit of road tripping going on here so, prepping well and using lip liner will hopefully keep this formula in place. Maybelline the Loaded Bolds Color Sensational Lipstick is a new, exciting step in the drugstore makeup world. These are incredibly pigmented with a truly great formula. Just beware, some of the darker shades are a bit difficult to wear and have migration issues. But all in all, this a selection of beautifully formulated lipsticks at a truly great price. Get them now at Target.com, Walmart.com, Ulta.com, or at drugstores. During a Ulta.com hault last week, I added two of these to my cart since they were buy one, get one half: Gone Greige and (drumroll)…Sapphire Siren. Blue lipstick for someone who wears lippies only occasionally! It actually looks more purple but I admit to being more comfortable with the neutral color. But looking at your swatches and seeing the pics of you wearing it makes me want a few more (the mauve and the smoking red). Hey sis! Ah you went with one of the more dangerous shades ;-D I went with safe ones although even some of these are pretty darn bold! Ahh I’ve been waiting for this review!! You look stunning as always Muse, I think I need Mauve it and Grey over it. Sorry for the delay! For some reason, no one had them in stock in my area! Aw thanks! I can’t find it anywhere either! I guess I just have to order it from Ulta! No worries, your reviews are always worth the wait!! I do love Maybelline lipsticks. I even don’t mind/kinda like the weird dirt/clay/play-do scent, although I won’t miss it if it’s gone. Mauve It looks great on you! Thanks Dora 😀 I got used to the play doh scent myself! It doesn’t bother me much anymore! I bought Mauve It and Gone Greige a couple weeks ago. I love them. They still have the annoying scent but I’ll get over that since they are so affordable and pretty. Thankfully I didn’t notice the scent much with these! aw thanks Monica you’re too kind! Aw thanks Courtney! I try to be! I needs Smoking Red and Mauve It ! Beautiful as always!! These color look great on you. I finally got these. How come these are not muse approved? Thank you. I love the way you do swatches.